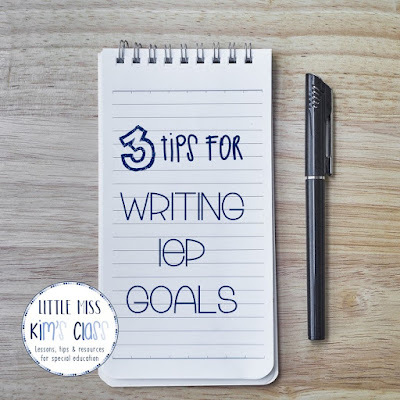 Writing IEP goals and objectives can be daunting, especially your first few years of teaching or if you have the same kids for many years. I want to share a few of my favorite tips for writing goals and objectives that should help you throughout the process! 1) Make goals functional and real-world! I understand that the common core and academics are important, but for many of our kiddos with moderate to severe disabilities, functional/ life skills and communication skills are even more important because they will give students the platform to start learning those academic skills. I suggest using the VB-MAPP or ABLLS (or some other assessment that includes language abilities) to assess students skills and then use the results to determine what skills students should start working on next. 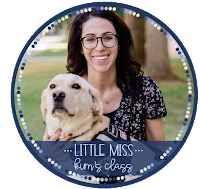 If you don't use the VB-MAPP or ABLLS in your school/ district already, this is a great free resources that includes important skills for tacting, listener responding, visual perceptual skills and matching-to-sample, motor initiation, listener responding by fuction, feature and class, intraverbal skills, and social behavior and social play. You can probably read through the list of skills and determine what your students are already able to do. 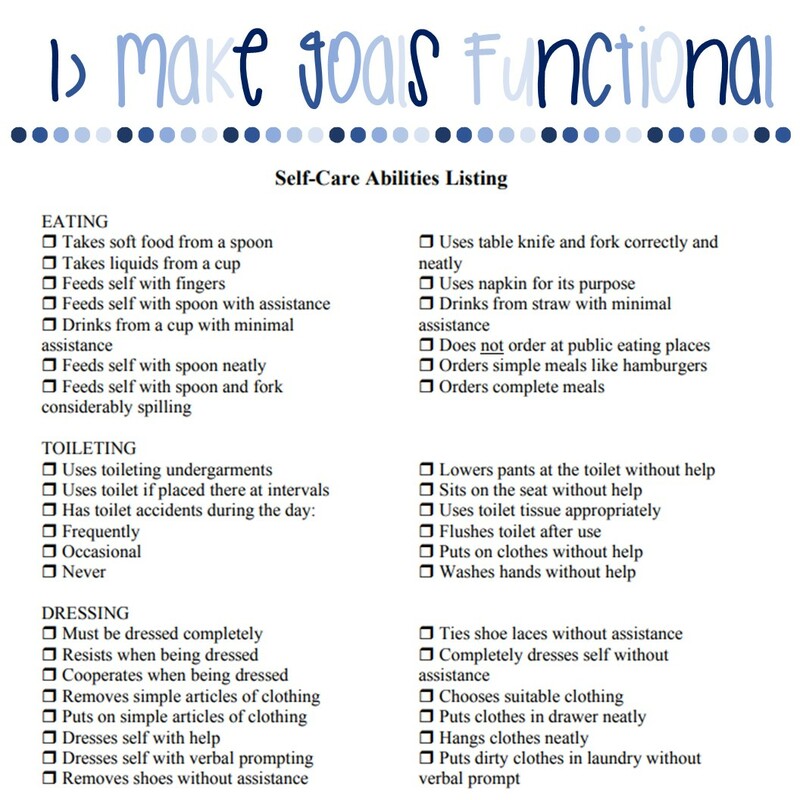 It's also great to think about what self-help/ functional skills students aren't able to do independently yet. There are a ton of free checklists out there that can help identify important life skills. 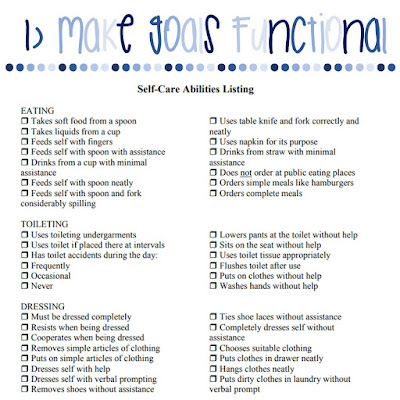 This super simple checklist would be great to complete with parents to identify what self-care skills you could work on at school that would also help families at home. 2) Make sure goals and objectives are measurable and make a plan for data collection before you finalize the goal! Goals absolutely have to be measurable or taking data will be next to impossible! Make sure the goals are concrete and would make sense to anyone who reads the goal. I like to have my therapists read the goals I'm suggesting to get their opinions if it's concrete/ clear enough. Something I also do that helps to ensure that the goal is measurable is I think about how I will take data on the goal before I finalize the goal. I'll typically make the data sheets for new IEP goals before I lock/ finalize the IEP just in case I need to tweak the writing at all. It's also important to think about percentages and ratios when writing goals/ objectives. For example, if you're writing a goal for a student to read 10 sight words, don't write that they will do it 85% accuracy, because that isn't possible! ;) I know that sounds like common sense, but I've received many IEPs with goals that have percentages and ratios that don't make any sense! 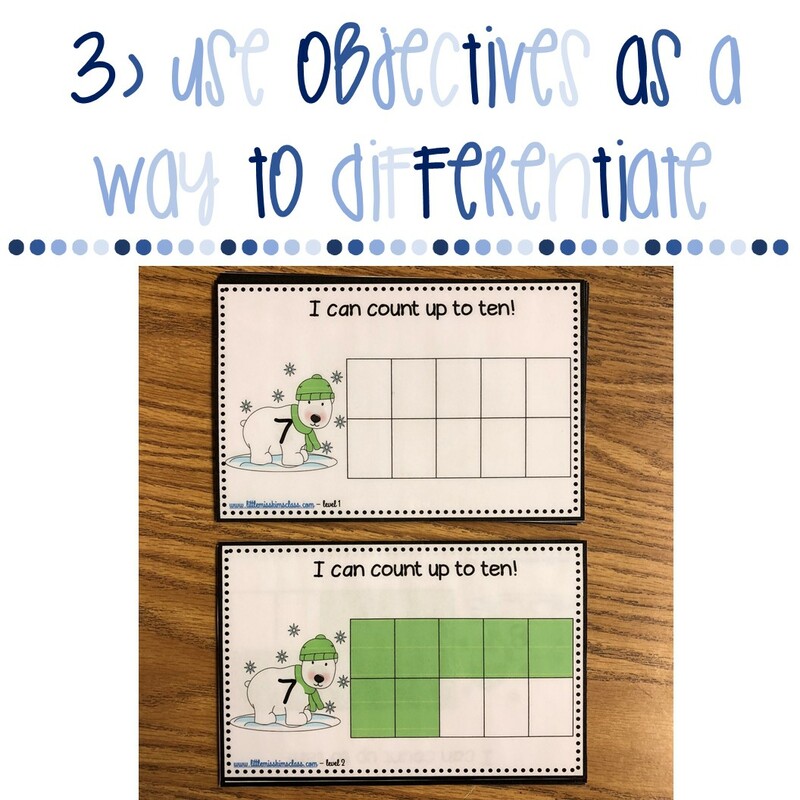 3) Don't just use objectives as a way to show progress/ growth... Use objectives as a way to differentiate and scaffold the task! It's common to use objectives as a way to show progress; for example, by having objective 1 say that a student will do the skill with 40% accuracy, then objective 2 would be 60% accuracy and objective 3 would be 80% accuracy. 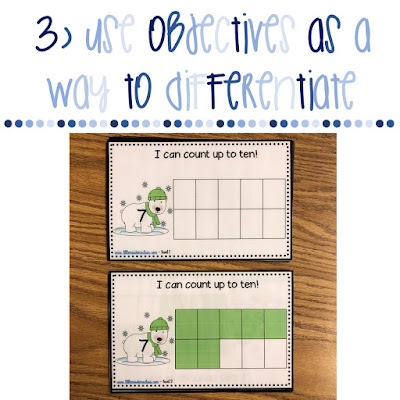 However, it's also great to use objectives as a way to differentiate the task! I love to use objectives to differentiate/ scaffold the task noting that the student will be given visuals, color-coding, etc. This objective involves picture support for student to complete the task. This objective involves color-coding support for student to complete the task. This objective is the last objective and aligns to the end goal! If you need some IEP goal/ objective ideas, check out my free goal bank here! 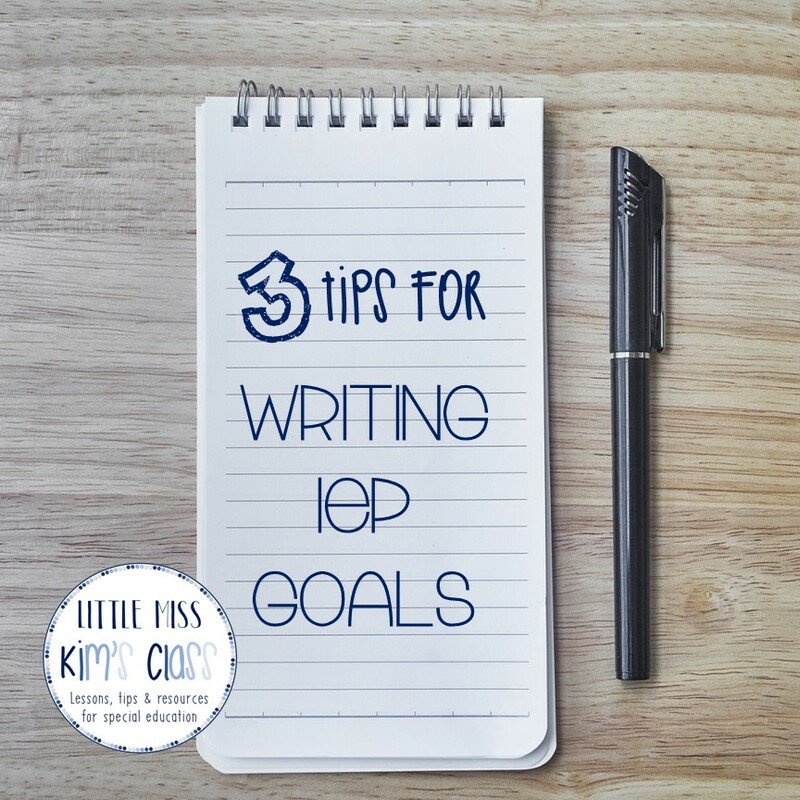 Do you have an IEP goal writing tips you want to share? Leave them in the comments!